Are you on the hunt for the perfect architectural stone and tile to breathe new life into your favourite spaces? 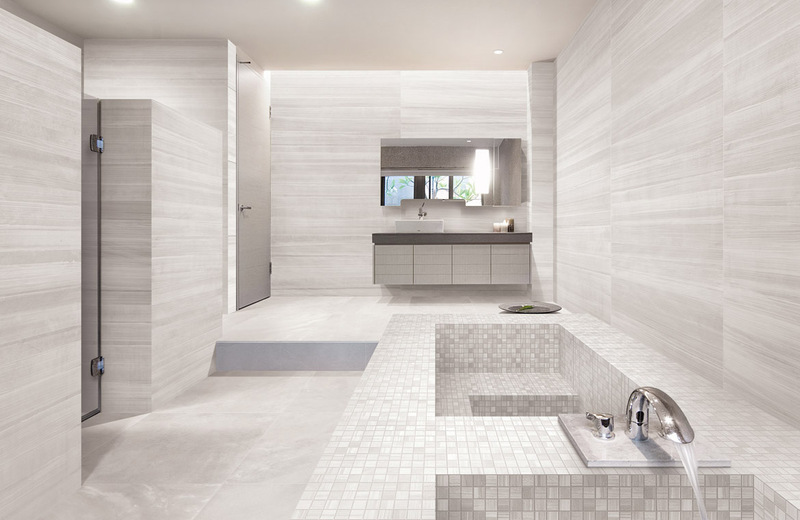 We understand that upgrading the tiling in your home is no small decision, so we’ve rounded up some of the hottest designer tiling trends set to dominate in 2018 to get you inspired. Are you feeling bold? Inject some of that confidence into your home with a patterned tile to create a striking kitchen backsplash or contrast against a white bath. If you’re not ready to go a full spectrum of colour, opting for neutral colours with white, black and grey is a great option, as you can infuse pops of colour through your décor and even change palettes depending on the season. Achieve this look with our Bisazza tile range. Some are calling the penny round tile the new subway tile, and for good reason. The versatile nature of these mosaic tiles means you apply them to any kind of style you’re wanting to achieve, whether retro, art deco or sleek and modern. Monochrome penny rounds look beautiful against brass hardware and colourful accessories, while a bright and bold blue penny round tile with white grout brings a soothing vibe to a contemporary bathroom. Loving this look? Try it with our Carrara Marble Penny Round Tiles. Despite what you might have heard, subway tiles haven’t dropped off the map, but their 2018 iteration is longer, leaner and a lot darker. 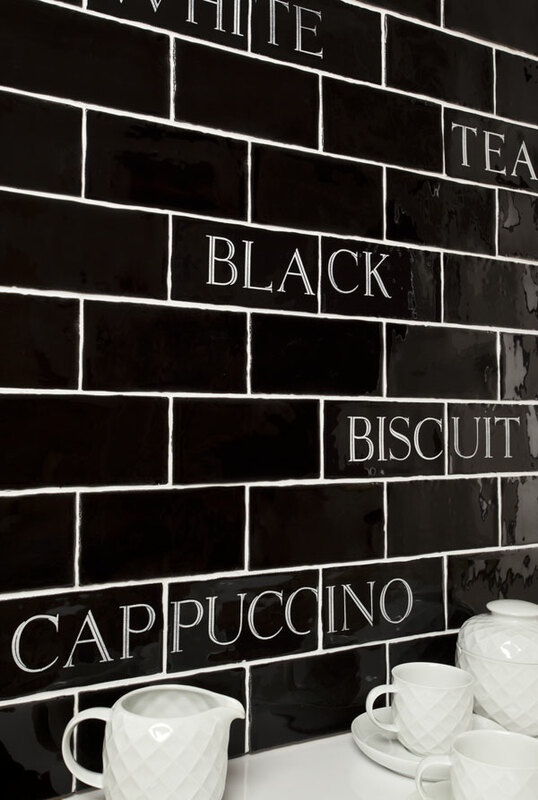 Many designers are opting for a texturised tile in black to give subway tiles and edgier look. Try laying in a brickwork pattern with a white grout, against black and gold cabinetry for a sultry look. Achieve this look with our Mayolica tile range. Larger than life tiles stood out at the 2017 Cersaie Trade Fair, the world’s largest tile and bathroom ware exhibition held in Italy. What you might see in the foyer of a luxury hotel is now featuring in the home as well. Tile sizes of up to 3000mm x 3000mm in materials such as cement, stone, terrazzo or marble are used to create uninterrupted flooring and built-in art pieces. 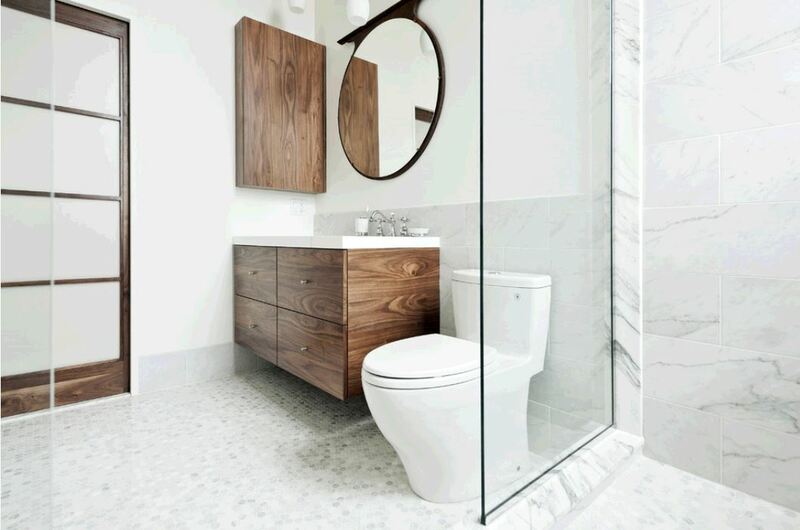 Get this look for your home with our large format tile range, which comes in custom sizes to suit your space. The cement flooring trend has been around for a few years now, but with tiles you can now create a bold look with less filigree. These tiles look best in laundries, bathrooms, foyers, kitchen and dining areas, balanced with soft rugs. 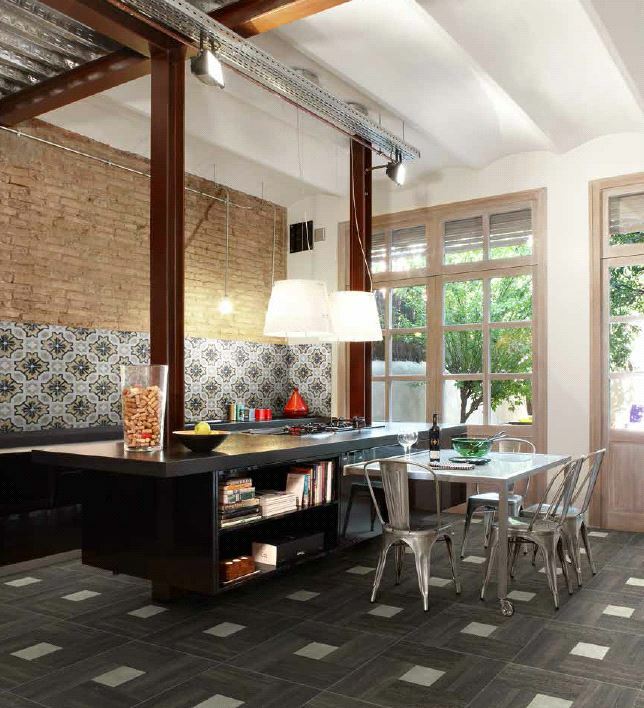 Cement tiles also complete the industrial look – perfect for any quirky CBD apartment. Feeling the inner-city vibe? You can realise this look with our porcelain Reuse range and our porcelain tiles from the Ergon Playground Inessence Composto Munich series. 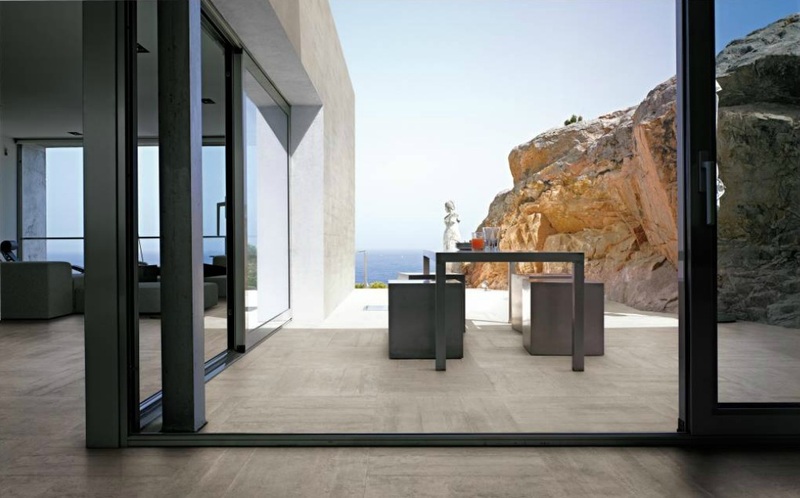 The Inessence Composto porcelain tile range mixes a stone-cement compound to offer a unique mixture of stones with cement elements. Which is brought together to create the ultimate contemporary look for your floor tiles. Did you know we have a large, stunning stone and tile showroom in Stafford where you can view our tiles in large format displays? Visit us five days a week to feel our luxury tiles under hand and foot. We also have a warehouse and distribution centre located in Zillmere where you can come and select your stone first-hand from our exclusive Australian and International ranges. Visit us in our Stafford showroom or contact us today to discuss your 2018 tile vision.